So for my research project, I decided to ask the age old question, what is the business value of Facebook for companies in the Computer Gaming hardware and software industries? Firstly, I went through Facebook current popularity statistics. Founded in 2004, Facebook’s mission is to provide its users with the power to “make the world more open and connected,” as they “stay connected with friends and family, …discover what’s going on in the world, and… share and express what matters to them.” (Forbes) With over 1,591 million users as of the end of 2015, Facebook is currently one of the most used social media platforms. However, despite its high usage and numerous features, Facebook experienced a drop in active usage by 7-12% in various areas of the world in 2014. As Facebook is becoming more of a passive network for social connections, companies may fear this worrying trend. However, as written by Jason Mander, GWI’s Head of Trends, “[it’s] not that Facebook is being abandoned. Rather, it’s that people are using Facebook less intensively or actively than before.” Therefore, even with the drop in usage intensity, as long as people are continue to view Facebook, companies can still benefit by using Facebook as part of its social media strategy. Close Call, but why Facebook? In terms of business value, Facebook is not without both its strengths and weaknesses. To begin, some strengths of Facebook are that it is an additional outlet for companies to reach its followers that is not only relatively inexpensive compared to traditional advertisement efforts, but also has the potential to reach millions of people. At the same time, even with a great potential for success, there are some weaknesses that plague most social media platforms. One of the greatest double-edged swords is the freedom of expression by the individual on social media. With the business in mind, this can benefit the company if the individual is an advocate for the company’s products and services. However, it can also hinder and even deter potential customers if the individual leaves a negative comment or post about the company. In addition, another weakness of Facebook is the dependence on the audience in order for any advertisements or posts to be effective. Although the current trend seems to be stable for Facebook, it is important that companies continue to monitor its progress so that they can effectively allocate its resources. To obtain a better view of the overall engagement between March 22nd and April 5th 2016, a graph were created to compare each of the three companies. Since engagement can only occur once posts are posted, the data shows that companies often posted several posts in a single day instead of consistently over the period of time. Therefore, to encourage its followers to constantly return for new updates, these companies can either create a dedicated schedule for new posts or post daily updates to stay top-of-mind. ith the smallest following and great areas for improvement, Kingston HyperX can use Facebook more effectively by realizing the strengths and weaknesses of this social media platform as mentioned above. Firstly, one of the key events that Kingston HyperX missed was the following of dates such as April Fool’s Day. As one of the more successful posts for each of the other companies, Kingston HyperX could have leveraged this holiday to present another, more interactive side to its company. Secondly, in reference to the “Like a Girl” campaign by Always, Kingston HyperX can find a message that truly resonates with its target market. Currently, Kingston HyperX works with many professional gamers from a variety of games, they could find a simple truth within the struggle that these players face as they attempt to be the best at the game. Finally, as a pro-active move, Kingston HyperX can create a virtual page with a feedback box in an effort to immediately address any customer problems and minimize the impact of negative customer reviews. As companies move towards finding alternative promotional strategies, social media platforms such as Facebook are becoming an ideal solution. As shown through the case studies, Facebook’s strengths lie in its potential for huge benefits at low costs while its weaknesses can be avoided through careful monitoring. Moreover, since Facebook is a public service, by reviewing and learning from companies with larger followings such as Razer and Logitech Gaming, other companies such as Kingston HyperX can greatly improve its social media strategy and potentially surpass its competitors. All in all, through research of Facebook’s current popularity status, its strengths, its weaknesses, its current impact, and its potential impact, the answer to the research question is that Facebook’s true business value lies in its ability to connect businesses with the very people that purchase its products. Hello everyone! We are Group 2 and we have chosen the Bone Marrow Donation Programme (BMDP) in Singapore as our organization. But first, what is BMDP? 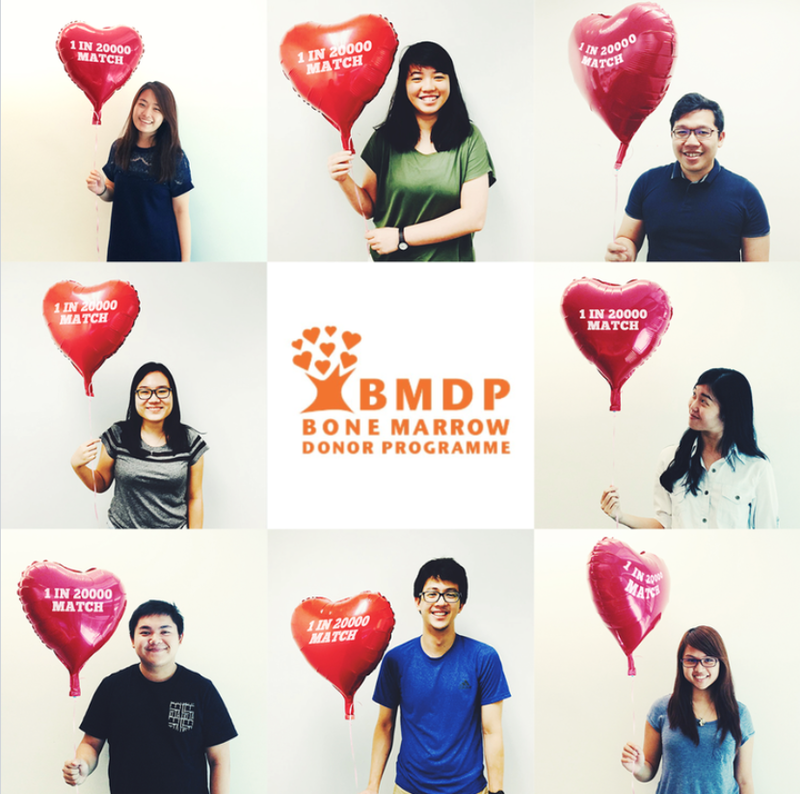 Well, BMDP is a non-profit organization that builds and manages Singapore’s sole registery of volunteer bone marrow donors. In addition to gathering potential donors and identifying each donor’s bone marrow, BMDP also works alongside a network of organizations to help match each patient with terminal blood-related diseases with their potential match. Each day 6 people are diagnosed with blood-related diseases. Trust us, we were surprised too! With at least 50 patients waiting to find a matching donor, bone marrow transplants could be their only hope for survival. However, despite the slowly growing donor pool, the chances of finding a donor with a matching DNA profile is 1 in 20,000. Due to previous misconceptions about the difficulty, pain, and inconvenience of the donation procedure, many individuals are reluctant to join the donor pool. For example, the misinformation about the ineligibility of donors from certain ethnic or religious groups as well as the supposed requirement that the donor and recipient must be from the same background continues to prevent many individuals from donating. Fortunately, the procedure for bone marrow extraction has significantly advanced to the point where it is comparable to an extended blood donation. Therefore, individuals from all backgrounds in between the ages of 17 and 49 are now able to heroically give patients a second chance at life. Great! So why isn’t everyone running to sign up for bone marrow donations? Recently, BMDP has set a goal to increase its donor pool by 50,000 donors within the next three years. However, one of the major struggles that BMDP faces is tackling the misinformations we have previously mentioned. Therefore, through our research, we created a framework for BMDP’s target audience to help BMDP solve this problem. In addition, we created a breakdown objectives to achieve BMDP’s goal of 50,000 donors. With our target audience and our objectives in mind, we created an integrated social media campaign to compliment BMDP’s current offline donor drives and road shows. Testing, testing. One, two, three! For our social media campaign, we have created three different strategies that will we would like to briefly share with you below. For this strategy, we will challenge the public to help us fill up a room with 20,000 balloons. With each balloon being inflated as a result of either a $5 donation or 1 cheek swab, the final collection of balloons will symbolize the difficulty for patients to find the 1 in 20,000 match. By leveraging Snapchat’s instantaneous nature, creating a BMDP Snapchat account will allow BMDP to reach its younger target audience by sending immediate updates as well as educational, step-by-step views of the bone marrow donation procedure. In addition, BMDP can also use Snapchat’s features such as Face-Swap to create interactive activities at its offline events. With the creation of a mobile app, BMDP will provide a platform to address its volunteers, speak to BMDP followers, and inform individuals with FAQs and infographics. Furthermore, by featuring a flip the card game that simulates the stress that comes with finding a match within a short period of time, we hope that individuals will also be able to have a sense of what patients have to go through on a daily basis. At the same time, through several case studies, we have found that this problem can be solved by integrating exciting, interactive, and engaging content in order to encourage BMDP’s followers to take action. All in all, it is very important to realize that the desire and decision to donate lies within the intrinsic motivation and beliefs of the individual. Therefore, through our proposed strategies, we hope to help BMDP in its educational, outreach, and engagement efforts. As a result, we hope that the public will not only be able to notice BMDP’s impact on the lives of others, but will also take the initiative to become the key to survival of another individual. We are glad to hear that you are interested in BMDP’s cause to help patients with terminal blood-related diseases. To help out, visit any of the links below to receive updates on BMDP’s next events and donor drives.